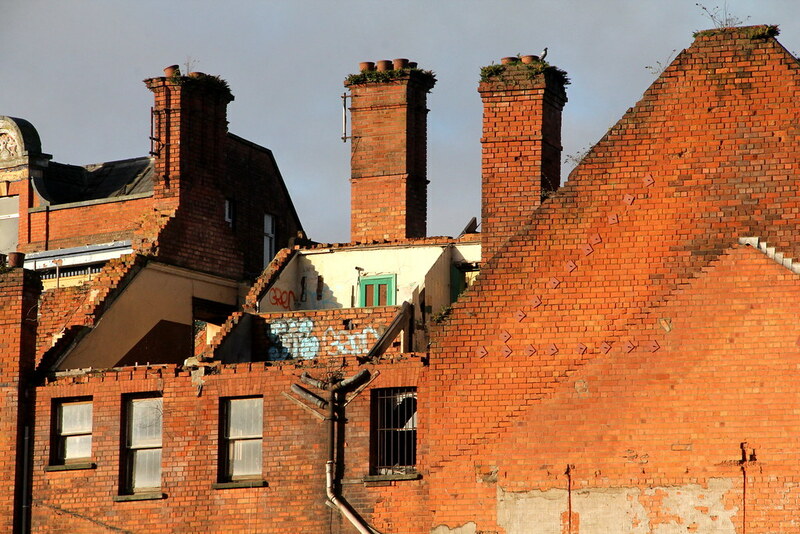 Quite a lot of dereliction around the centre of Belfast. Here’s a few places I just got externals of. Sticking them together as they don’t merit a report in their own right. 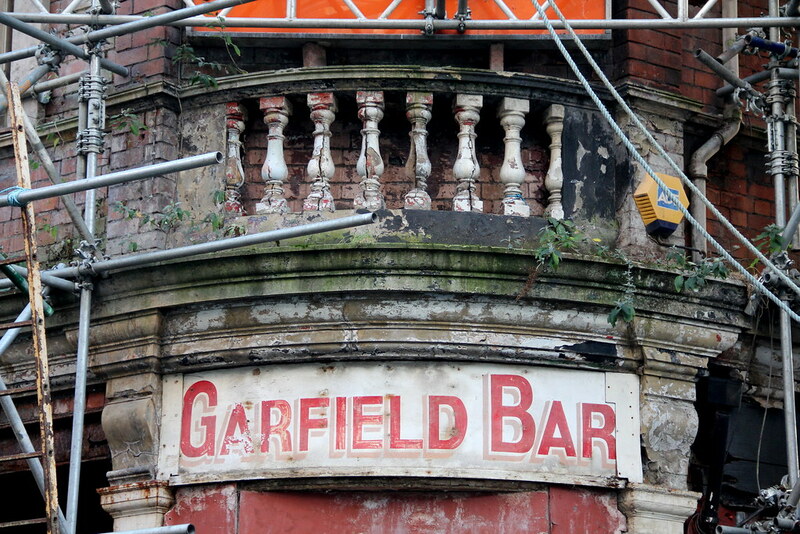 Once a squat for dozens of protesters. 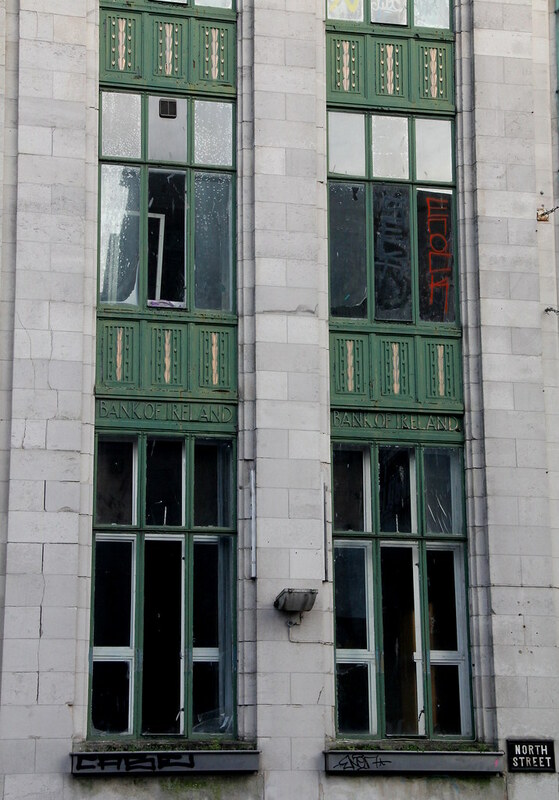 The five-storey listed art deco building was apparently set to become part of the ambitious £300m project to regenerate Belfast's Northside area but nothing appears to have moved on. 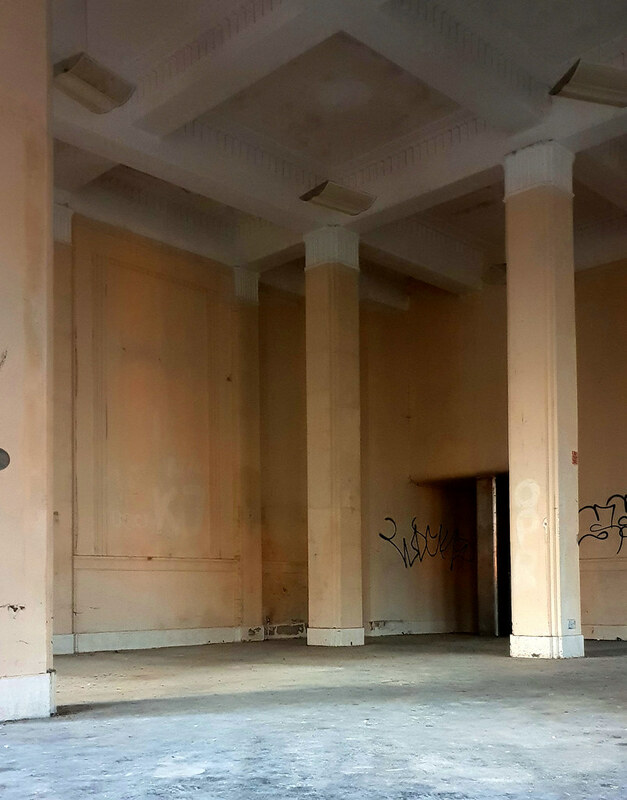 It has been vacant since Bank of Ireland relocated its HQ to Donegall Square South in 2005. 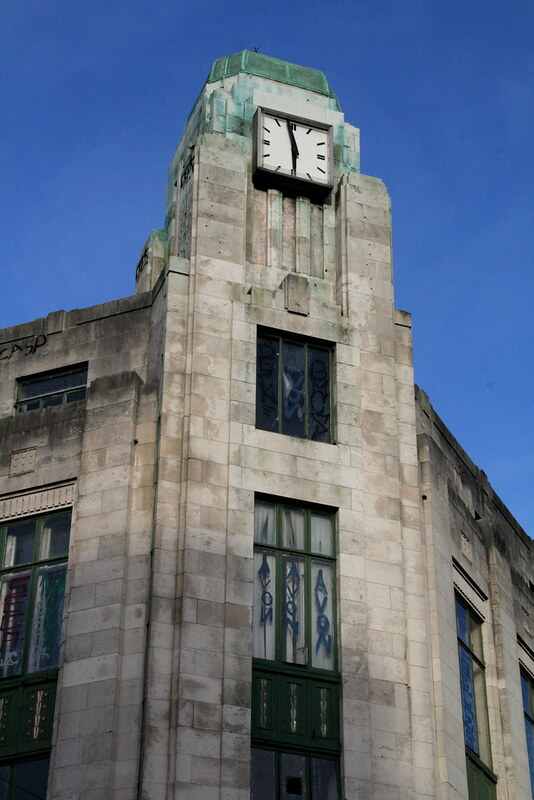 It was designed by architect JV Downes of McDonnell & Dixon in Dublin and construction began in 1928. 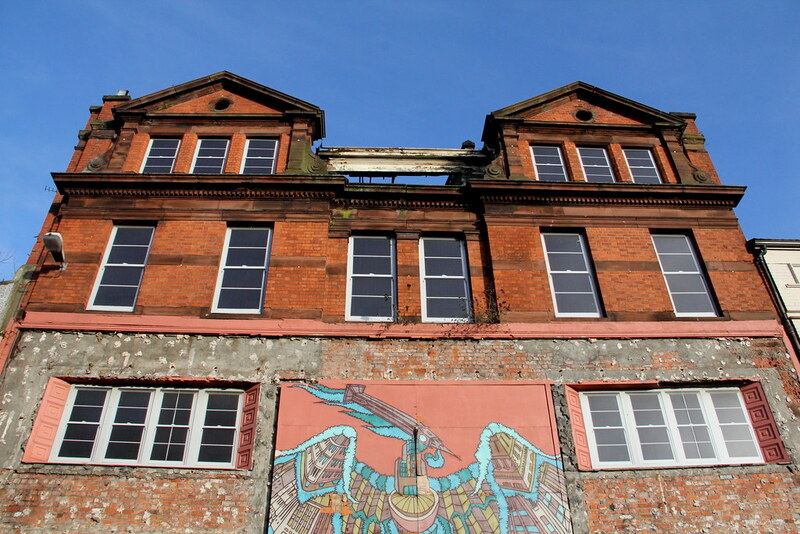 The empty building made headlines in 2012 when the “Take Back The City” element of the Occupy Belfast protest began squatting there. 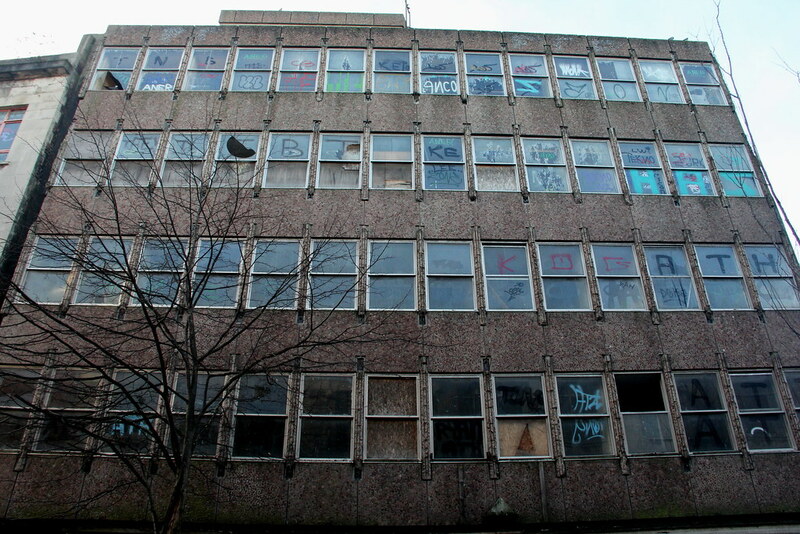 The protesters finally left the building a few weeks later after police forced entry following a report that a radio had been flung from a window, narrowly missing a woman and young child on the pavement below. 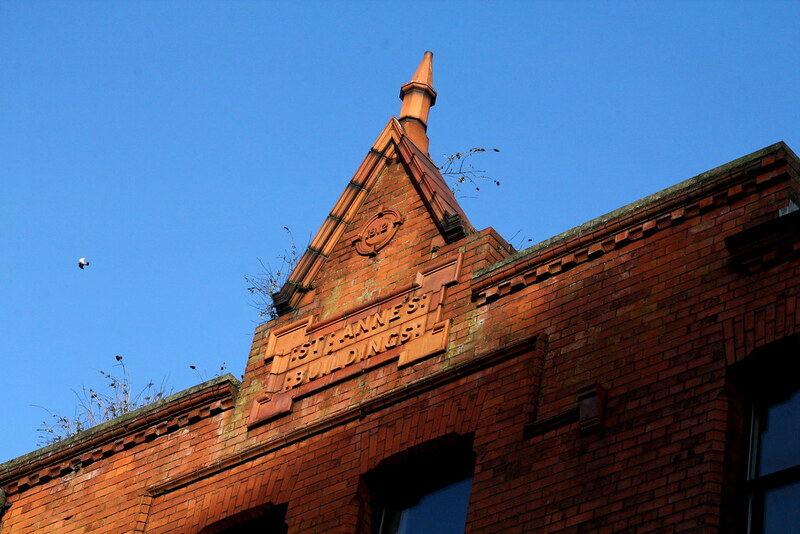 The Bank Buildings on Belfast’s Castle Street has a chequered history. The red Dumfries sandstone structure was designed by Sir Robert Taylor and was erected by Waddell Cunningham in 1785. Two years later, The Bank of the Four Johns opened but after the bank’s finances collapsed, it was later used as the Bishop of Down and Connor, Rev Dr William Dickson’s residence. 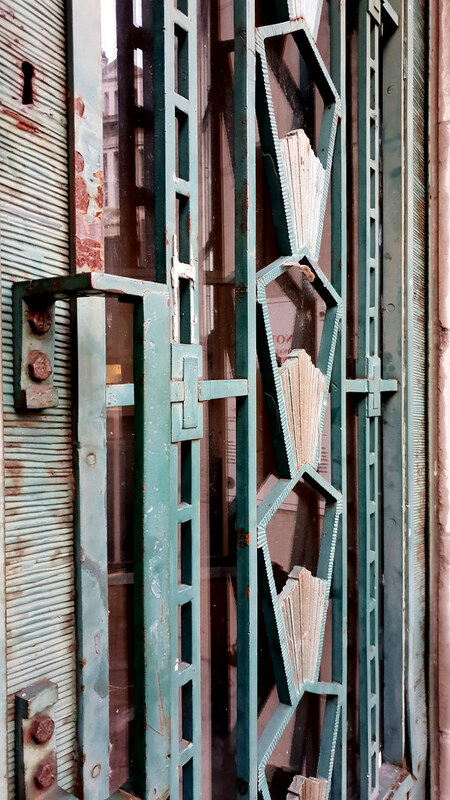 It was then converted into a shop in 1805 and the last public execution was carried out on the building’s doorstep. The last three to be hanged were weavers who had attacked the home of their employer, Francis Johnston, over wages. In 1853, William Robertson and Henry Hawkins from Waterford, with JC Ledlie from Cork and Robert Ferguson from Belfast, founded a draping business which then went on to become a department store. Years later, the ground and first floors of the building went through a major redesign and WH Lynn installed large glass windows in the lower floors, which were the only areas used as a shop at first. The rest of the building was a warehouse. In 1969, shares of Robertson, Ledlie, Ferguson and Company were sold to the House of Fraser group but the company continued to run the shop. 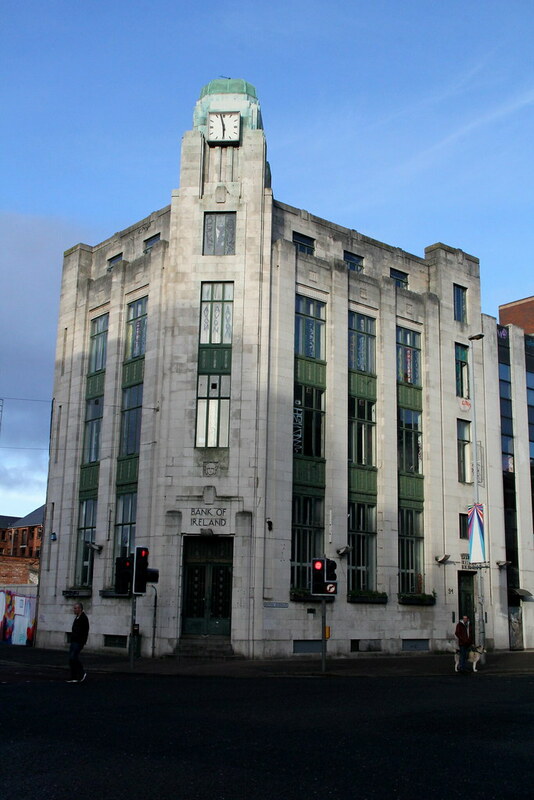 Four years later, Boots acquired the Bank Buildings when it took over House of Fraser. 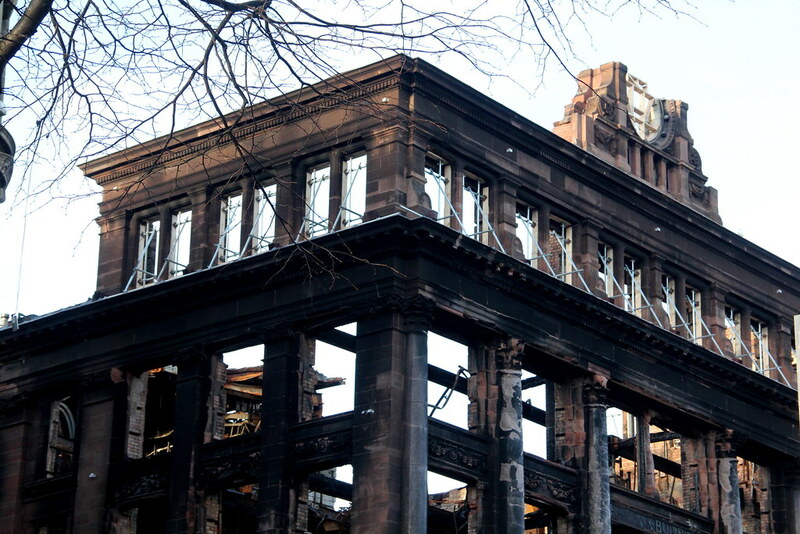 During the Troubles, three bombs exploded in the Bank Buildings and a fire broke out in April 1975. 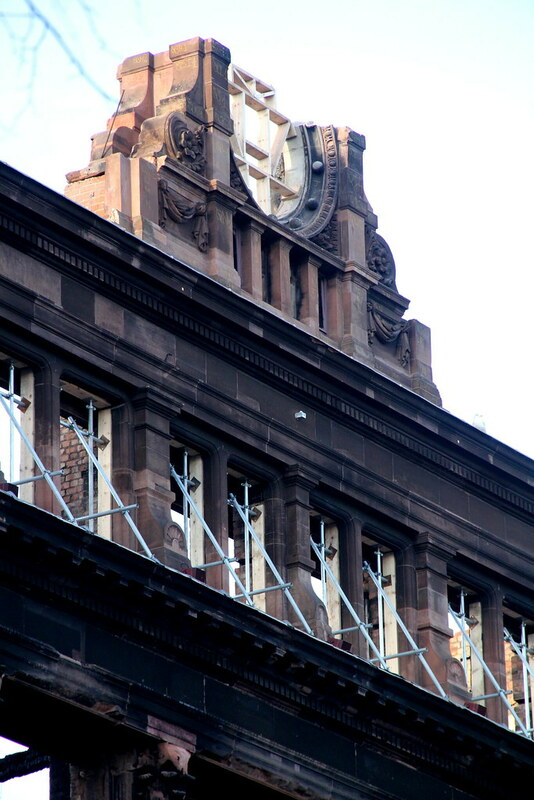 Four years later, the structure was taken over by Primark, who renovated the buildings and restored the outside. 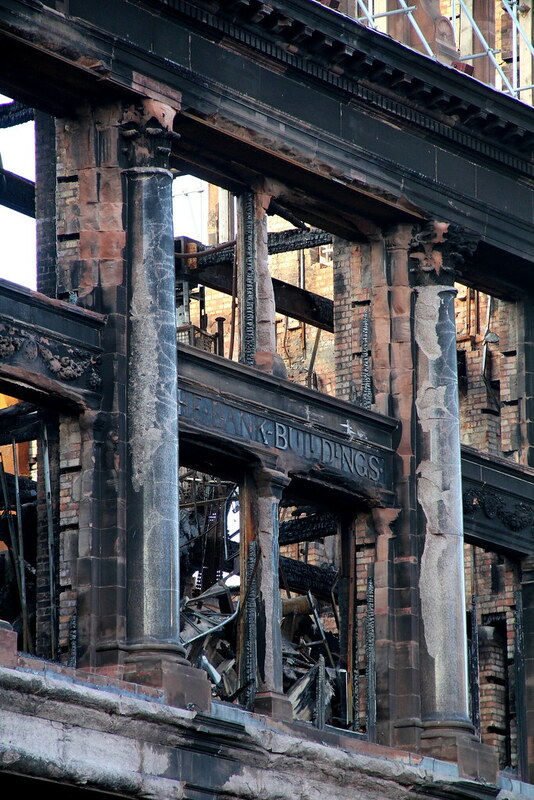 On 28th August 2018 a large fire broke out on the roof of the building and flames were seen shooting out of the 233-year-old Bank Buildings, which had been undergoing a £30 million refurbishment. 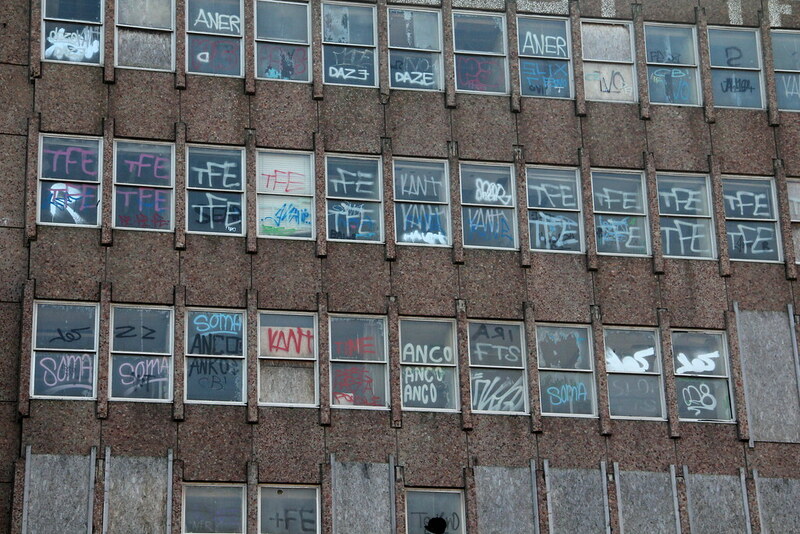 Wow there is some lovely architecture there ... apart from that office block thing, thats hideous! Nicely done. 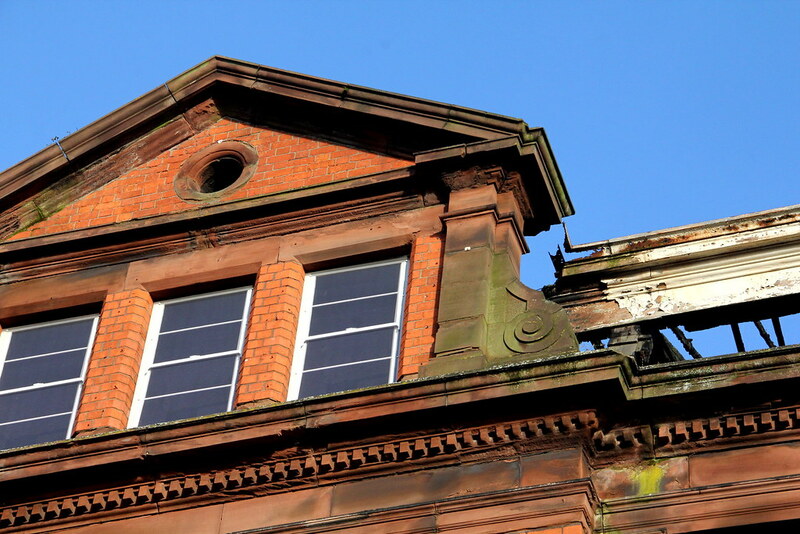 A shame about the Bank Buildings, looks like it's about to collapse if it wasn't for the scaffolding holding it up. Nice piece of Andy Council artwork there. 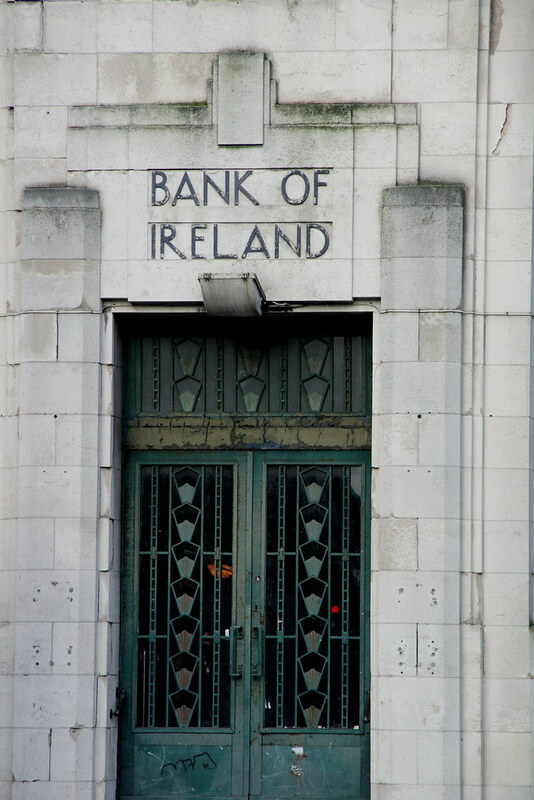 That Bank of Ireland building is lovely, shame it's rotting.